Are you #confused about hashtags? Have a #smallbiz social media account, but not sure how to use the “pound” symbol properly? That’s probably not surprising, especially when many social media users tag things as both an aid to discovery, and a kind of self-expression, alongside emoticons and acronyms like LOL. Searchable hashtags were originally used as a means of grouping types of content on Twitter. Writing about your big industry event? An appropriate hashtag, like #MacWorld or #SWSW allows other users to search for relevant posts on Twitter. Today, you can see trending hashtags appear on the left hand side of your Twitter desktop interface (tap the search icon to see them on mobile). Instagram is another hashtag hotspot, though the trend never really took off on Facebook. By adding relevant hashtags to your posts, you increase the likelihood of people who are interested in those topics finding them. Keyword relevant. Wasting your 140 character count on trending hashtags that have nothing to do with your content is spammy, and unlikely to gain you any real customer interest. Better to spend some time researching what businesses in your category are using, and start including them in your posts. Some of which may be very obvious (#weddingplanner), others less so (#sayyes, #bridesofinstagram). Click on an Instagram hashtag and you’ll be taken to a “Most Recent” page showing all posts with the same tag, listed chronologically, underneath much-coveted “Top Posts” spots for posts that are particularly popular with users. This article is a good primer on business-specific hashtags. As it points out, it’s hard to get noticed with overly general hashtags. But ones that are too niche will have few people searching for them. Experiment, and see what works for you. That’s easier on Instagram, which doesn’t limit you to a character count, and allows up to 30 hashtags per post (social media platform Buffer claims eleven hashtags is the engagement sweetspot on Instagram). One of the best features on Instagram is the autocomplete feature. 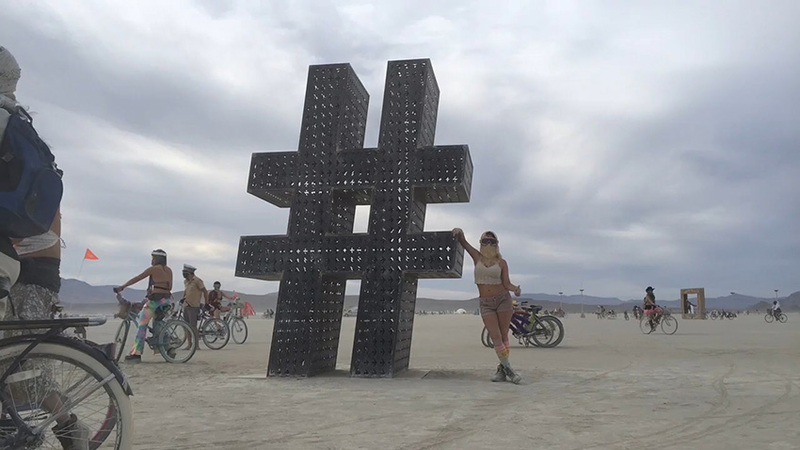 As you search on the “tags” tab for, say, festival-related hashtags, you can see the volume of posts for a variety of tags (13 million for #festival, over 300K for #festivalfashion, 161K for #festivallife and so on). Posts promoting your Etsy store might get lost in the #festival floodgates, but you can see relatively less-popular that might be more relevant and result in views and followers. Tags with few posts at all? It’s unlikely they’re drawing any searchers. On Twitter, while posts with hashtags get double the engagement of posts without, most social media experts recommend no more than two tags max. The one place hashtags can get confusing is when people use them as a conversational commentary on their own comments, or for emphasis. They’ve even made their way into spoken conversation. As this article notes, complaining about something trivial, then saying “#firstworldproblems” is a kind of ironic self-deprecation. Particularly on Instagram, search hashtags and “hashtag as comment” can peacefully coexist, and the latter can add a certain amount of character to your post. Customer appreciation day? Fine to post #weloveourcustomers for emphasis, whether or not it draws search traffic (and it probably won’t). Getting traction on social media can be hard for small businesses, and using hashtags in Twitter and Instagram posts isn’t going to dramatically change that, but being fluent in their use is one way to get more out of your social media accounts. Want more ways to sell your business socially? Give Kiosk a call.